What does a Deckhand Detailing Franchise Cost? A minimum of $20,000 is required to claim your own defined territory to start a home-based, mobile Deckhand Detailing franchise. You can expect the total investment to range from $30,000 - $50,000 which includes the $18,000 franchise fee. There is a royalty fee of 4% to cover the costs of national brand advertising and the renewal term is 5 years with no renewal fee. Be the First to Own a Deckhand Detailing Franchise in Your Area. 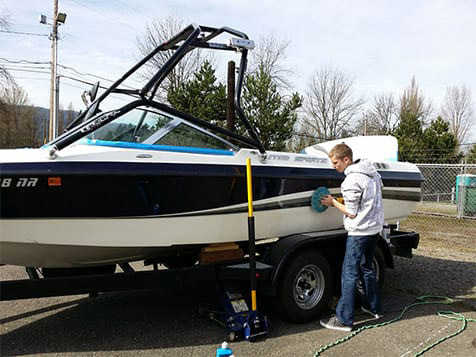 The Deckhand Detailing franchise offers you a complete home-based, mobile boat, RV and auto detailing company. Founded in 1990, Deckhand Detailing provides a proven business model and training program which can help you realize the dream of owning your own business. Learn more about the costs and benefits associated with this opportunity today! Detailing boats and vehicles is peaceful, satisfying work. It's hands-on. It's fun. It's rewarding, both mentally and physically. Owning a Deckhand Detailing business can provide you the lifestyle you want, and give you the flexibility to be in charge of your time so you can be there for your friends and family. It also allows time for vacations, to have evenings and weekends off and not be tied to someone else's schedule. 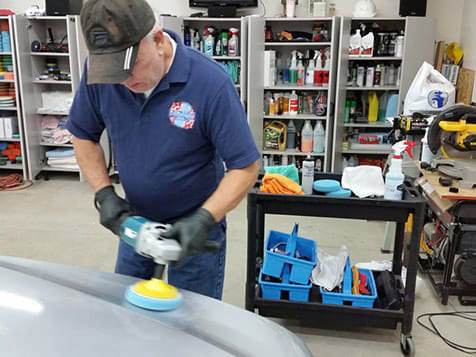 If you've already started a small detailing business, but would rather be part of something bigger than go it alone, then consider converting your business to a Deckhand Detailing franchise. 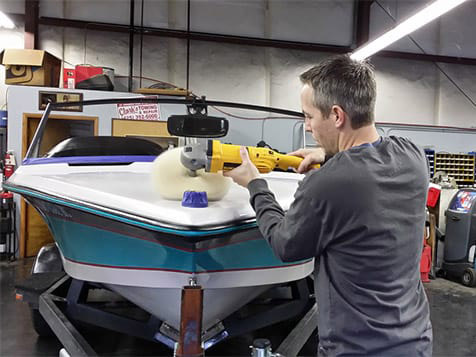 Multiple Revenue Streams: There are three revenue channels, which include boat detailing, auto detailing and product sales. Franchisees can re-sell some of our detailing products to their customers and in their territory. Custom Business: Focus on boats, autos or both based on where you live and what your main passion is. 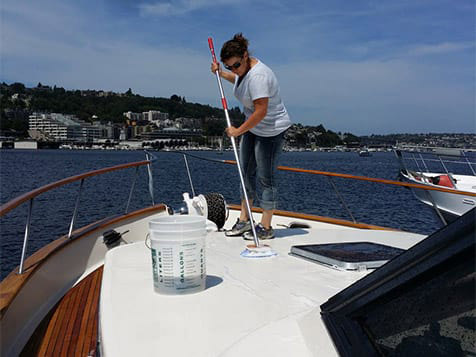 Training: The 9-day training course in Seattle will teach you everything you need to know about boat and auto detailing, as well as starting, running and growing your new business. On-Going Support: The Deckhand Detailing team is available to you anytime you need them and provides national advertising, internet advertising and a social media presence for you. Great Reputation: Excellent reviews and testimonials support the reputation Deckhand Detailing has built over the years and you can benefit from that reputation from day one. Financing Options: Affordable loan options for both the franchise fee and start-up costs. Special Rate: A 25% discount is offered to veterans who qualify for a Deckhand Detailing franchise. Inquire today for a free information packet. This is a no-obligation request for information only.